The 243-kilometre river Otra is one of the ten largest waterways in Norway. The drainage basis is 3610 km2, and from its sources in the north to its outlet in Kristiansand there is a height difference of 1150 metres. On its way from the mountains north of lake Sæsvatn in Telemark, Otra runs through seven municipalities in the counties Aust-Agder and Vest-Agder and contributes to a substantial production of renewable energy. Regulation of water in streams and rivers has taken place ever since people learned how to use the power of falling water. In earlier times log driving was the most important activity on the waterways. As hydroelectric power for various purposes gained more ground in Norway, regulation of the industry became necessary. In this connection, several plant owners’ associations were established. For the river Otra, the association Otteraaens Brugseierforening was founded in 1900. Ever since, the regulation activities in the river has taken place on a more or less continuous basis. The most recent development project has taken place in Bykle, where the dam across the Sarvsjuvet canyon was completed in 2014. The water from lake Vatnedalsvatnet is used in the Holen Power Station (to generator). The water from lake Urevatn is used in the third generator in the same power station, before running into lake Botsvatn. From there it runs through a 31-kilometre tunnel to the Brokke Power Station. The Skarg Power Station uses the water from the Sarvsfossen waterfall. Water level fluctuations in the upper reservoir and the consumption of water are decisive factors. In a normal year 2710 million kWh are produced; representing 2 percent of the total hydropower production in Norway. 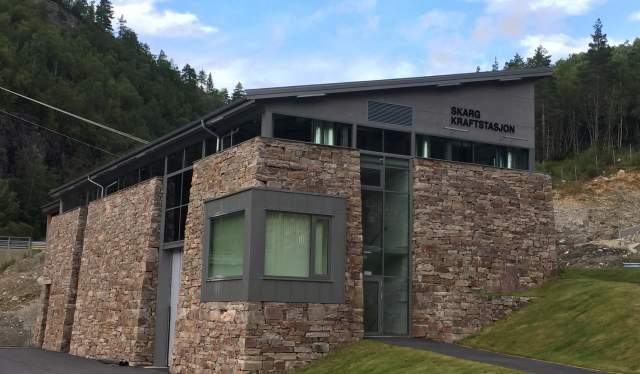 Indoor visits to these power stations are unfortunately not allowed, but an informative model of how rivers and streams contribute to the various reservoirs and how these are connected to the power stations, can be seen at the Setesdal Museum.